AT&T was back at MEF's annual event once again to share its vision of network transformation, this time presenting its edge-to-edge vision. This transformation is really about looking at customer networking needs holistically, says Josh Goodell, Vice President, Edge Solutions, AT&T. 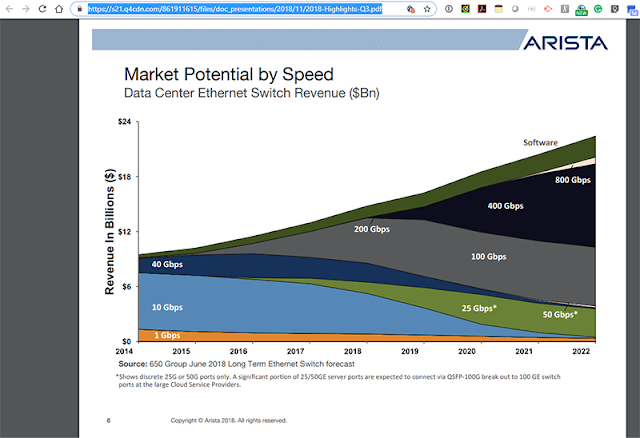 AT&T has seen strong momentum this year for services powered by its SDN and NFV platforms, with over 28,000 end points currently deployed. MEF's work to standardize SD-WAN services will further strengthen the market. 2019 will bring more network transformation. 5G will be transformative, enabling a whole new set of use cases, and these hopefully will be incorporated in the MEF framework going forward. 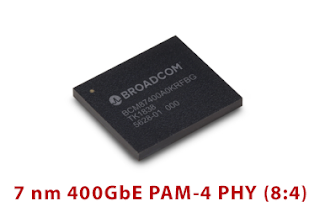 Broadcom began sampling its 7nm 400G PAM-4 PHY device for hyperscale data center and cloud infrastructure. The BCM87400 device, which leverages Broadcom’s 7nm Centenario 112G PAM-4 DSP platform, provides 400G 8:4 gearbox performance. Broadcom says its 7nm 400G PHY solution delivers significant power savings compared to existing 16nm PHYs, thereby enabling sub-8W optical modules, compared to 12W power dissipation current generations 16nm PHYs. 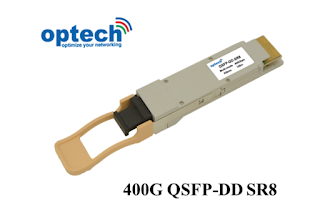 Taiwan-based Optech introduced a 400GBase QSFP-DD SR8 transceiver that supports connections of up to 100 meters over multi-mode fiber and uses MPO connectors. 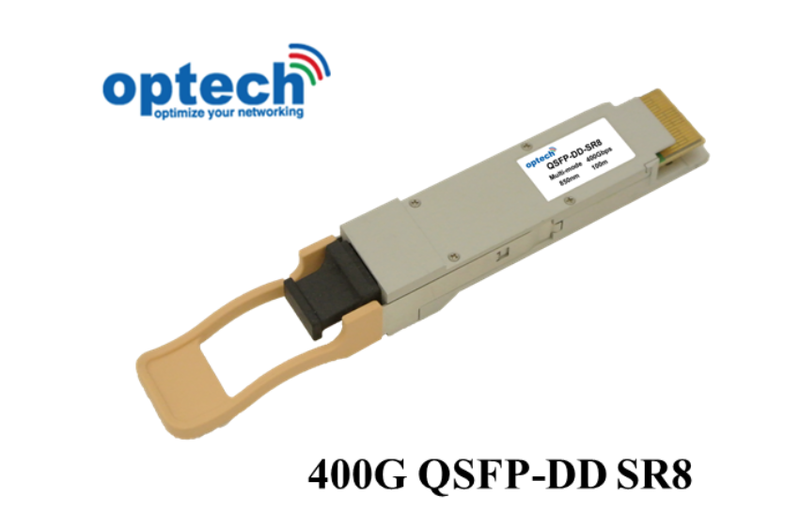 The 400G QSFP-DD SR8 transceiver supports different configurations (50G/100G/200G) and is also offers backward compatibility with the 100G QSFP28 SR4 and 40G QSFP+ SR.
Interxion, which operates more than 50 data centres in 11 European countries, cited growing demand from major cloud and content platforms as the key driver for its business in Q3 2018. Interxion reported that its data centre utilisation rate, which is the ratio of revenue-generating space to equipped space, was 79% at the end of the third quarter of 2018, compared with 82% at the end of the third quarter of 2017 and 80% at the end of the second quarter of 2018. 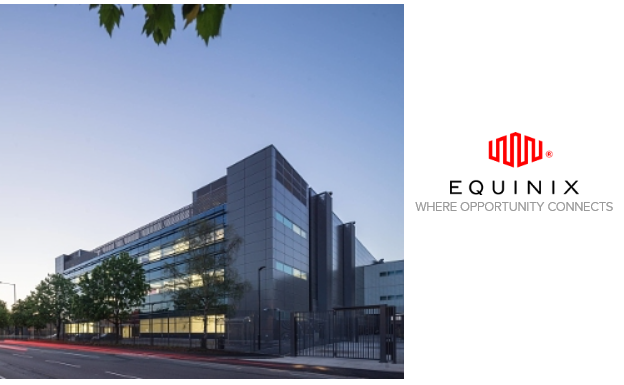 Although the utilisation rate is slightly lower than a year ago, the completed major expansions of its facilities over the past year. Equipped space at the end of the third quarter of 2018 was 140,300 square metres, compared with 118,900 square metres at the end of the third quarter of 20176 and 132,600 square metres at the end of the second quarter of 2018. 200 sqm expansion in Zurich. In August, Interxion announced dedicated access to Google Cloud Platform (GCP) across its European footprint through Cloud Connect, Interxion’s multi-cloud interconnection platform. With Google Cloud deploying its Cloud Interconnect points of presence (PoPs) in Interxion’s Paris Marseille, Frankfurt and Stockholm data centres, customers can now directly connect to Google Cloud Platform from these locations. Moreover, because Interxion is a partner of Google Cloud’s newly launched Partner Interconnect service, customers can also connect from any of Interxion’s data centres across Europe via Cloud Connect. Customers using this service benefit from fully redundant, instant access to GCP from multiple metropolitan areas, ensuring a 99.99% availability SLA without the complexity and costs of having to build a networking solution themselves. 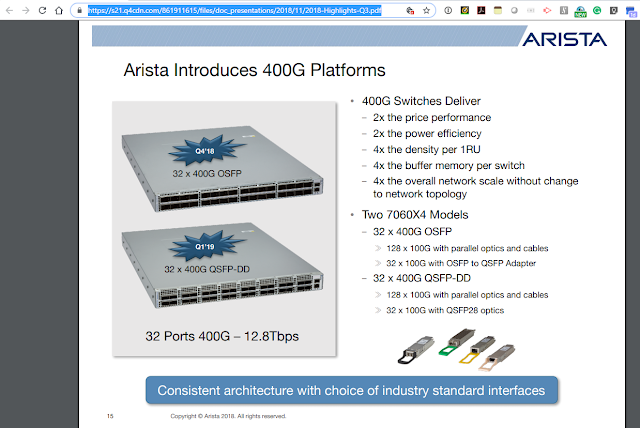 Arista Networks reported record revenue of $563.3 million for the third quarter of 2018, an increase of 8.4% compared to the second quarter of 2018, and an increase of 28.7% from the third quarter of 2017. GAAP net income of $168.5 million, or $2.08 per diluted share, compared to GAAP net income of $133.7 million, or $1.68 per diluted share, in the third quarter of 2017. 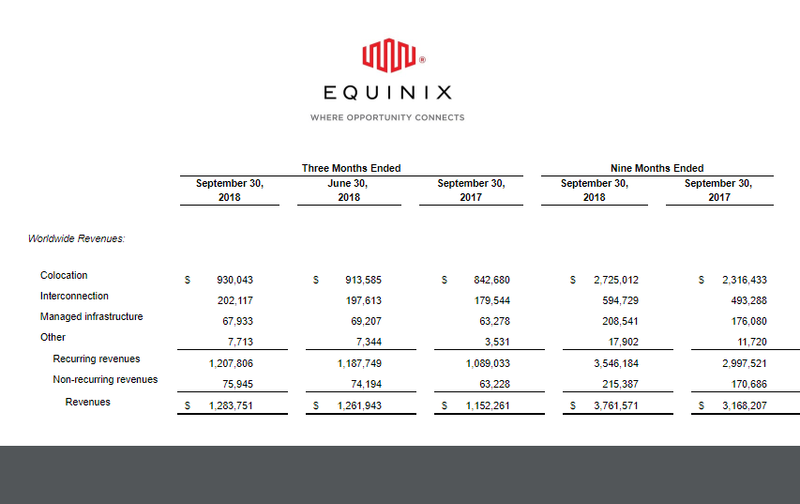 Non-GAAP net income of $171.3 million, or $2.11 per diluted share, compared to non-GAAP net income of $128.2 million, or $1.62 per diluted share, in the third quarter of 2017. 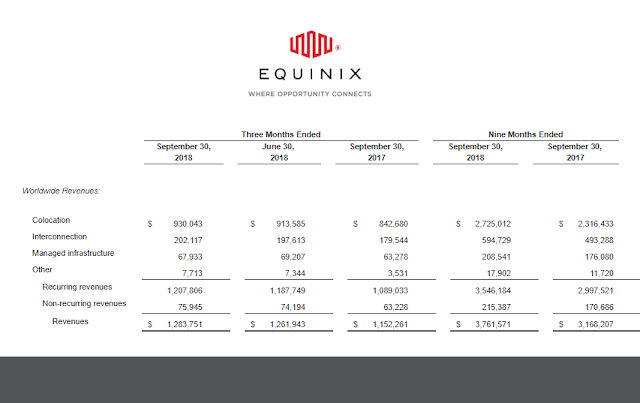 GAAP gross margin of 64.2%. Syntiant, a start-up based in Irvine, California, raised $25 million in Series B funding for its deep neural network processors for battery-powered devices. Syntiant said its forthcoming neural decision processors (NDPs) will use an analog neural network that can offer orders of magnitude lower power by extreme memory efficiency along with massively parallel computation with modest precision. The processsors are targetted at applications as small as hearing aids and IoT, to as large as smart speakers and mobile phones. The funding was led by M12, Microsoft Corp.’s venture fund, and included the Amazon Alexa Fund, Applied Ventures, Intel Capital, Motorola Solutions Venture Capital and Robert Bosch Venture Capital. Syntiant is headed by Kurt Busch, who previously led Lantronix. Before that, he was a senior vice president and general manager of high performance analog business unit at Mindspeed Technologies, acquired by MACOM. AT&T has finalized a contract with the State of California that enables state and local public safety entities to procure FirstNet services. 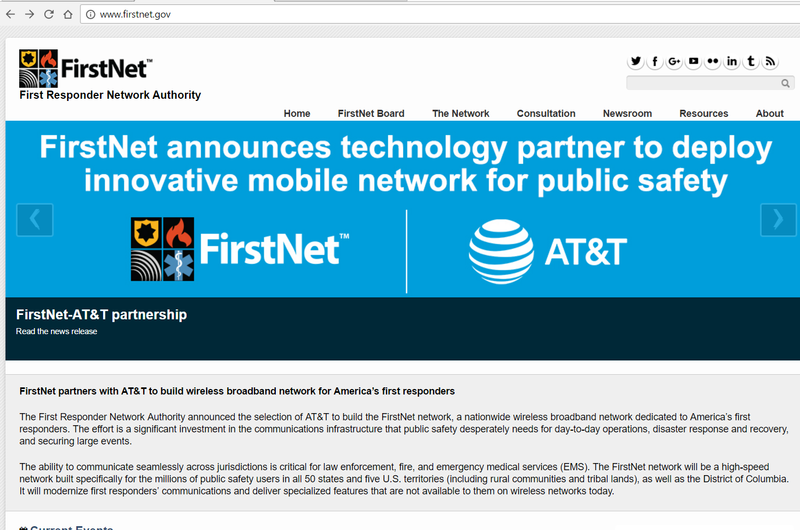 FirstNet is the nationwide communications platform dedicated to America's public safety community. 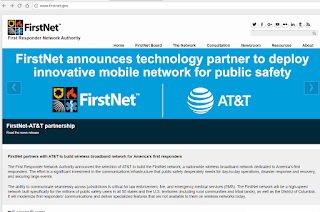 It's being built with AT&T, in public-private partnership with the First Responder Network Authority (FirstNet Authority).